A vast installation honouring Oscar Wilde is to fill Studio Voltaire, a former chapel in Clapham, south London. 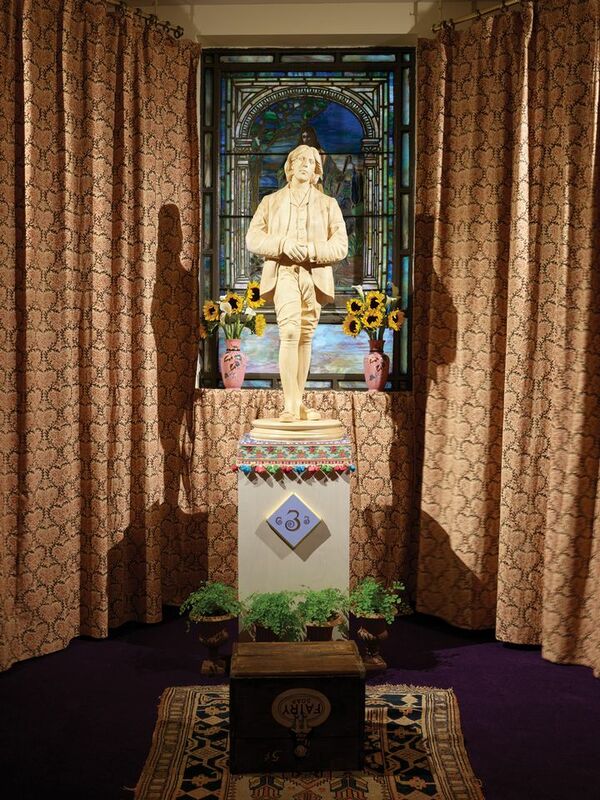 The Oscar Wilde Temple (3 October-31 March 2019), by the US artists McDermott & McGough, promises to be an all-encompassing homage to the Irish poet, incorporating 19th-century chandeliers, furniture and stained glass. The work also pays tribute to gay-rights trailblazers, those lost to Aids and queer heroes such as Alan Turing and Harvey Milk. But there’s more to the piece than sensory overload: LGBTQ weddings and vow-renewals can be held at the shrine. Proceeds from private functions will go to the Albert Kennedy Trust, a charity helping homeless LGBTQ youth; local community groups may also use the space. Oscar would be proud.